A legacy of the Eames’ that is influential on the ways that we work is an elegant and playful design language, influenced by modern art and architecture and equally by Victorian clutter, folk art, and natural science. We find this aesthetic is compelling because it is inclusive and generous, finding beauty and intelligence in a broad mix of periods and cultures.‘Select and Arrange’ is the phrase that best describes the key method in the work of the Eames’, recognizable in the development of many of their furniture designs, architecture, exhibitions and films. They understood their own Pacific Palisades home as a work in progress, a field of experimentation, with the interior comprised of a diverse collage of hand made objects and industrial products. 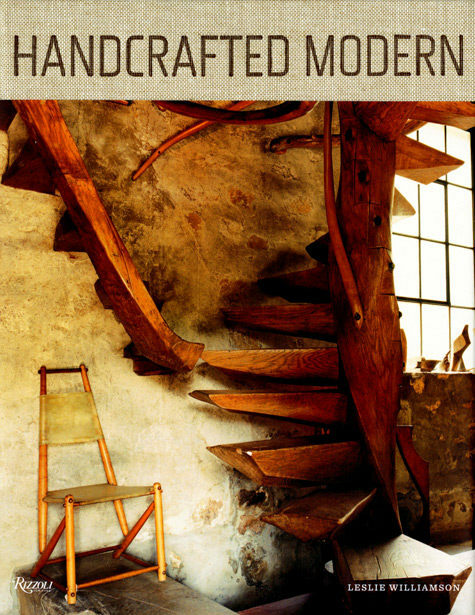 The combination of the old and new, simple and complex, decorative and practical, natural and artificial embodied both art and technology. 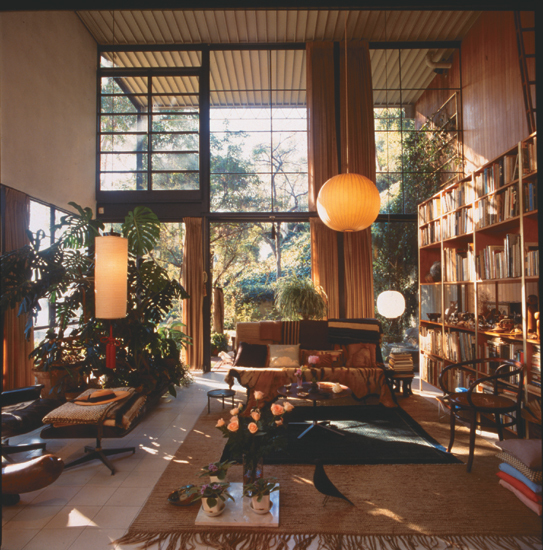 Through careful selection and arrangement, this large collection of furnishings, textiles, plants, artworks, books, toys, utilitarian objects and souvenirs, the Eames employed an unorthodox means to create a harmonious whole. Over the years it was frequently changed and augmented, giving a clear expression of the personalities of the Eames’ and their understanding of design, beauty and appreciation of quality. This method of selecting and documenting objects is something that has been in the ether for a while amongst contemporary designers, revisiting this great modernist love of ‘Order’. Perhaps based on a spirit of the moment to accept beauty in the everyday, rather than to aspire to the latest ‘bauble’ of high design. An emerging consensus seems to reveal much more in this work than simply assembling sets of objects. Increasingly, this act appears to be about a form of composition. In many respects this presentation seems no different from the assemblages of objects that characterised the Victorian treasure houses and private museums, where typologies and materials become valued over more complex data like location, function and date. It also feels somehow related to ownership, – the most intimate relationship that we can have with objects. Collecting objects becomes a passion that is both reassuring and delightful and allowing narratives about them to be constructed through viewing, valuing and selecting. 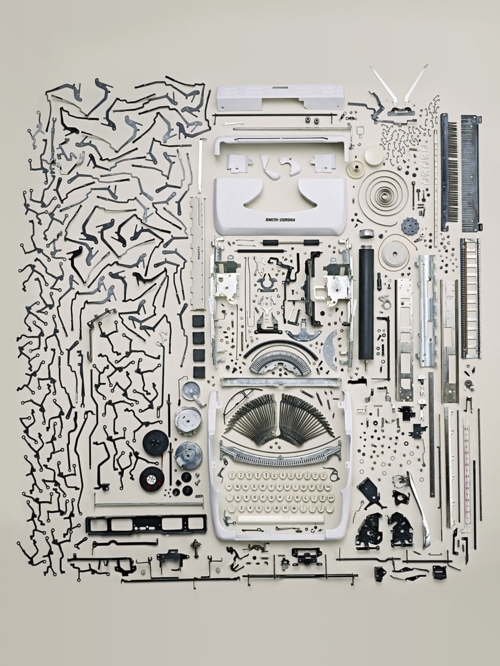 The perfect example is Things Organised Neatly, curated by Austin Radcliffe, that depicts the familiar stuff of everyday, recontextualizing the things that are most often overlooked. Considering these collections with an unusual level of observation, it echoes the Humble Master­pieces, featured in a Museum of Modern Art (MoMA) exhibition of a few years ago that reconsiders the paper clip or the matchstick as marvels of design. Radcliffe himself states, ‘I think that taking time and care to adjust and arrange objects shows a certain time dedication, and therefore implies importance on the objects. 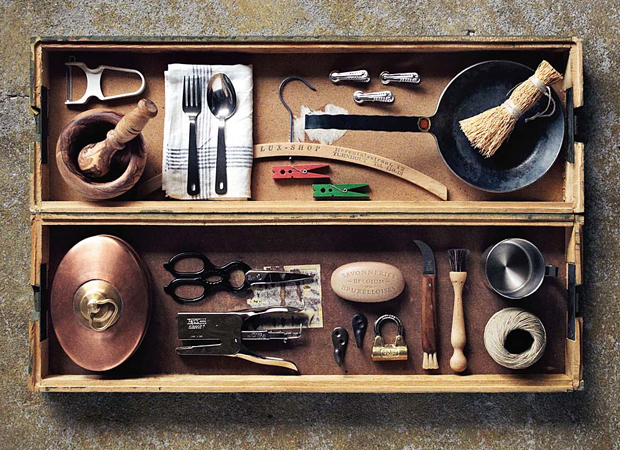 The person arranging the items is inherently exercising his or her aesthetic preferences. Even if the objects are arranged scientifically, by size for instance, a pattern reveals itself. 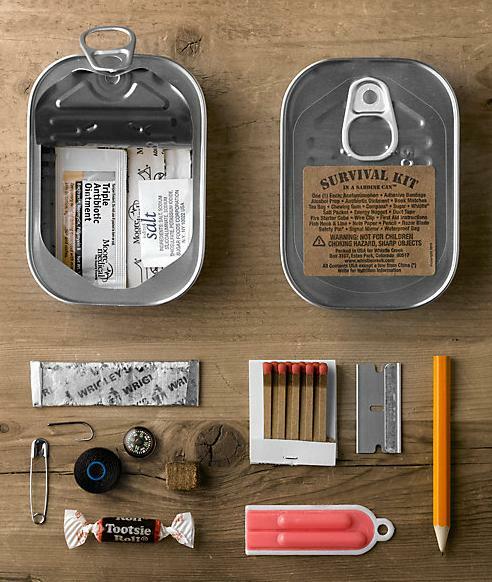 So neatly organizing a subject will give visual interest, and even function to the viewer. Precision is beauty.’ The marvel of studying the compositions almost serves as a reprieve from the hectic pace of life in this day and age of chaos and clutter, an escape to a more serene and meditative destination.